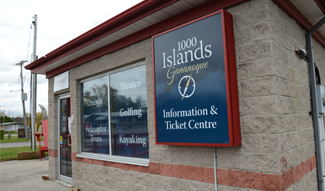 The Glen House Resort & Spa is nestled in the 1,000 Islands, a tranquil waterfront resort offering riverfront accommodations, more than 70 comfortable rooms, on-site spa with a variety of treatments, vibrant gardens and an 18-hole championship golf course, Smuggler’s Glen Golf Course, located across the road from the resort. 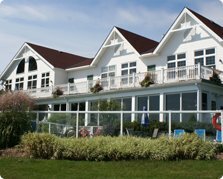 A Resorts Ontario member, the Glen House Resort features an indoor and outdoor pool, hot tub, fitness facilities, games room, shuffleboard, tennis court, canoes, kayaks, boat rentals, docking, watercraft rentals and much more! 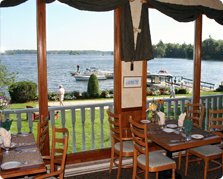 Enjoy a delicious meal in the Shipman’s Dining Room river-view porch, or settle in for a more casual fare and live entertainment in the Smuggler’s Lounge pub. 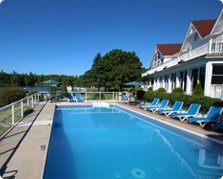 Whether catering to families, group getaways, couples retreats, conferences or weddings, the Glen House Resort’s success lies in its dedication to making every guest’s stay a memorable one.